From the moment coffee is planted, till it’s served, our coffee has gone through the hands of countless individuals that are all remarkable within their field. Farmers, planting varietals sacrificing yield over cup quality, coffee pickers only picking red ripe cherries during harvest, importers storing coffee in climate controlled warehouses. These critical efforts result in coffees that are a sum of choices made with a single goal in mind, what does the final product taste like in your cup. We are at the end of this cycle, our job is to roast the coffee, we do this with the best of old techniques combined with the best of new techniques, continually looking for the best production methods, this search and combination is also referred to as “Retro Innovation." Our idea of roasting is the opposite of what is commonly regarded as the way to roast coffee, which is, we roast it as little as possible, enough to fully develop all flavours, with the aim to highlight what makes a coffee distinct. 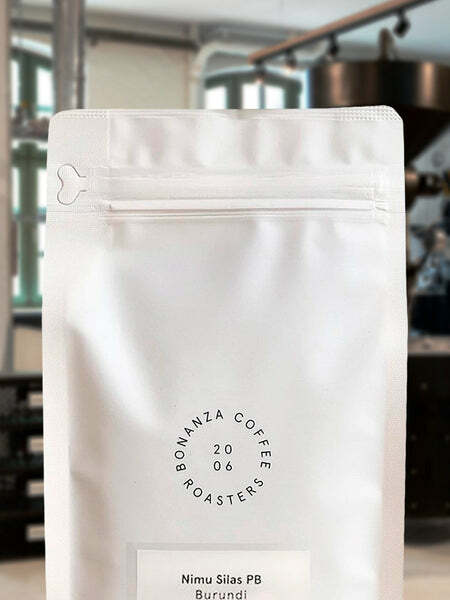 The resulting cup should be clean, clear and pure, free from tastes that are produced by the roast itself. When we opened our shop in 2006 we were often asked by our customers if our coffee carries the fair trade label. We looked into the topic ‘Fair Trade Coffee’, what we found was, Fair Trade labeled coffees are not traded in a way that inspired us. Between the way we like to work and improve with coffee and the way the Fair Trade Organisation works, lies a discrepancy in ideas for us. That naturally lead us to join the movement within coffee that focusses on quality. Paying for quality, in examples of other companies that have gone before us, results in an authentic affiliation to farmers, an impressive product and a challenging way of working that keeps us going. We deal with coffees where the prices range from morally correct to where the kilo price fetched on rare coffees of exceptionally high quality is news on itself. But what is more important to you is that you can taste the difference, the resulting cup is truly surprising, we can imagine that this is a better reason to pay for what you are drinking.